Welcome to the Core Advantage Interval Timer. 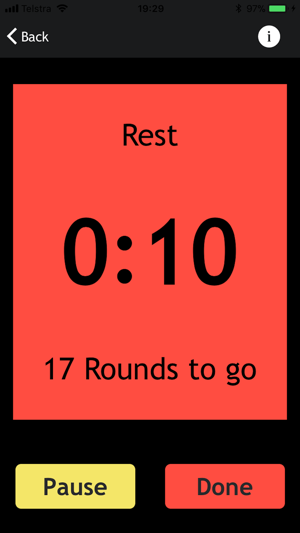 After years of wishing and weeks of building, the Core Advantage Interval Timing app is finally available for you to download on iOS. 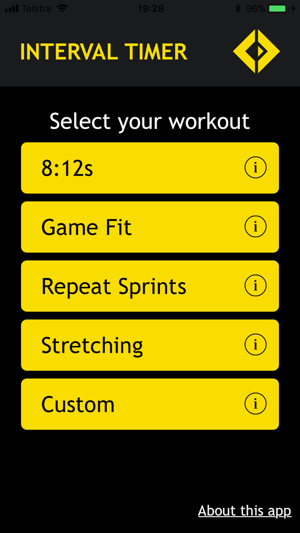 Choose from our list of pre-build athlete specific workout modes or build your own workout with the custom option. You can even listen to your own music/podcasts while you workout! - Custom. Build and save your own timing protocols with our workout builder. A few little bug fixes and performance upgrades, some slipped our mind for 1.0, some you helped us find! - There was a problem where podcasts/music would cut out when opening the app. That is no longer an issue, interruption-free audio from here on in. - There was a link or two missing from our descriptions. We also had a rather embarrassing extra ‘the’ in one sentence. Thanks for having our back Dec.
- Tennille wasn’t happy with the timing between the countdown clock and the warning sounds. Davey has fixed this and apologised. - More than one athlete requested we add in a “do it again option”. We loved their intensity and madness so we obliged. You can now restart a workout instantly without leaving the workout screen. 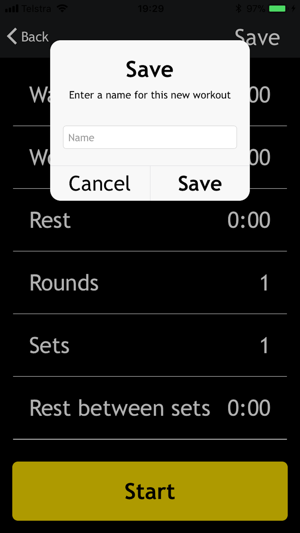 - You can now see the name of your workout while you are doing it. Removes some of the mystery if you forgot what you selected during the warm-up. - We have changed the way the app loads when you first open it up. This means the time between you and the hard work just got a little bit shorter. Did an interval running session and locked my phone however beeps do not go off when phone is locked only when the app is opened. Running session didn’t go well due to not knowing when to run hard and when it was rest. Had to adjust and leave phone unlocked and phone running, which used a lot more battery.